We were able to confirm with Larian Studios that support for HDR displays will be introduced to the PC version as well, provided that your hardware is DirectX 11.4 compatible and runs Windows 10. This will be added alongside the Definitive Edition update on PC. Divinity: Original Sin 2 Definitive Edition is coming August 31st on PlayStation 4 and Xbox One (as well as a free update to PC players via Steam). Today, Belgian developer Larian Studios confirmed that Divinity: Original Sin 2 Definitive Edition will be enhanced for Microsoft’s Xbox One X console to support native 4K resolution and HDR displays, while “dynamic 4K” and HDR will be supported on Sony’s PlayStation 4 Pro console. We also inquired to check whether HDR support was coming to PC. As is often the case, though, there aren’t any current plans to do so due to the low number of HDR monitors out there right now. The Definitive Edition is set to include new features such as a party inventory system, a new journal system, a new tutorial, an updated PvP area and a new Story Mode difficulty setting. The largest update of all will be the game’s third chapter which has been completely rewritten. That should translate to an improved version of the already stellar game we reviewed on PC last year. There’s really no correct way to put into words how good Divinity: Original Sin 2 really is. With a lot of freedom of choice, excellent story, characters, and writing, and masterfully crafted RPG mechanics, the Larian Studios’ game is the first RPG that is still keeping me engaged after 40 hours and more since The Witcher 3, a game I love to death. And I already know that it will be keeping me engaged for more, as the amount of possibilities, both in battle and outside, is staggering. Rivellon is truly a fantastic playground, one that RPG fans will not want to ignore for any reason. It’s hard to find a game with little to no flaws, but Larian Studios proved that, sometimes, it happens. 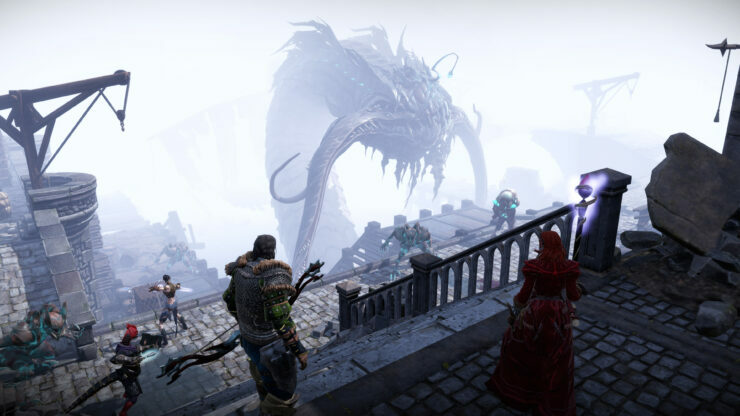 With excellent story and characters, smart writing and masterfully crafted gameplay enhanced by the multiplayer modes, Divinity: Original Sin 2 truly deserves a place among the best cRPGs ever released. If you truly can’t wait for the end of August, the game’s first chapter is already available for Xbox One via the Game Preview program.